Recently I’ve been following coverage of some pretty extensive renovations taking place at Lincoln Mall, a long-beleagured super-regional mall in south suburban Chicagoland. Initially I was excited at the prospect of even a modicum of success here, especially considering I’ve never seen the mall even close to its potential. I first visited Lincoln Mall about a decade ago, after it fell in the toilet but before it drowned. I recently re-visited for the first time after some of the renovations have materialized, and was extremely dismayed – both by the progress of the renovations and also by a personal, not-so-fun experience I had there. 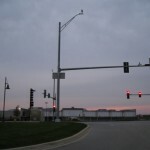 Matteson, Illinois (pronounced matt-uh-son) is a diverse suburb of Chicago, located about 30 miles south of downtown. With a population of about 17,000, Matteson is economically middle class, squeezed in between poverty-stricken Chicago Heights to the east, and wealthy Frankfort to its west. Within Chicagoland, Matteson is part of – and centrally located within – a larger economic region known as “Chicago’s Southland” – a regional economic development and tourism consortium comprised of nearly all of the suburbs south and southwest of Chicago. Made up of 86 communities with a population of nearly 2.5 million people, the region is simultaneously diverse yet allied by common goals. Much of the region, specifically the suburbs directly south of the City of Chicago and east of I-57, has been negatively impacted by the loss of heavy industry during the latter part of the 20th century. In an attempt to promote the region’s shift from a manufacturing to a service based economy, the consortium advertises the region’s proximity to Chicago, the transportation network – numerous rail lines as well as 5 interstates converge here – and the region’s affordability in comparison to the western and northern suburbs. Suburban blight, crime, and poverty have become significant problems in the Southland region, with some good examples in postwar suburbs Harvey and Chicago Heights. 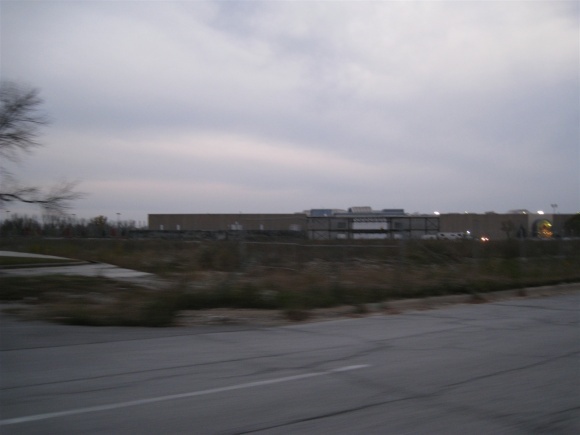 In fact, one of the most famous dead malls in the country is located in Harvey, and – as of late 2009 – is still standing after being abandoned for almost 25 years. However, this traditionally blue collar region is by no means lacking in riches; some of the Chicago area’s wealthiest zip codes are in Frankfort, Orland Park, Palos Heights, Olympia Fields and other areas within the region. 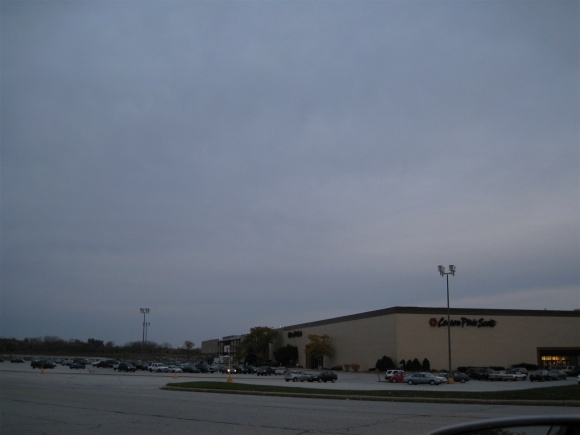 Matteson is home to a concentration of numerous strip malls and big box stores, mostly located along Route 30 and Cicero Avenue (Route 50). 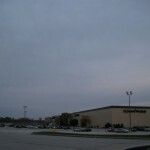 It’s one of several areas in the south suburbs of Chicago with a high concentration of retail strip, and also home to one of the south/southwest suburbs’ first super-regional malls, Lincoln Mall. 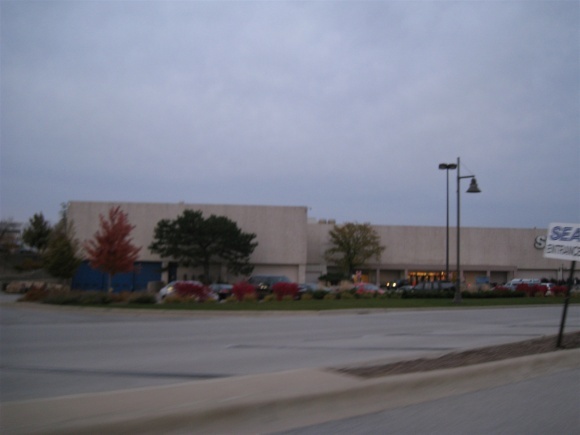 Lincoln Mall opened in 1973 on the southeast corner of the intersection between Route 30 (Lincoln Highway) and Route 50 (Cicero Avenue), just east of I-57. 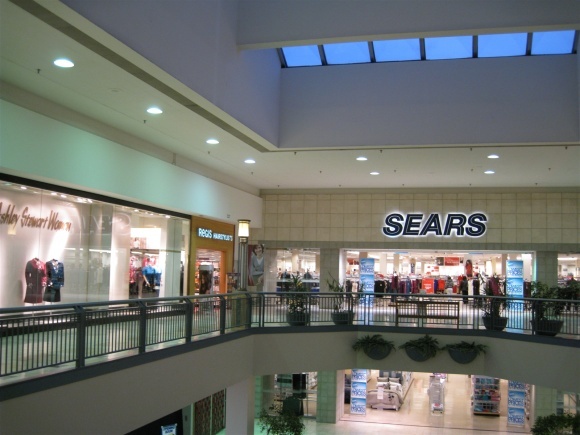 When it opened, the mall contained nearly 1 million square-feet of retail space shared between 4 anchors – Carson Pirie Scott, Wieboldt’s, JCPenney, and Montgomery Ward – and two levels of mall space connecting the anchors. 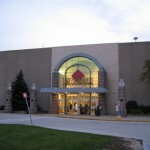 The original design of the mall was very similar to Yorktown Mall in Chicago’s western suburbs, which is still open and successful, and the former Lakehurst Mall in north-suburban Waukegan, which closed in 2001. Lincoln Mall was an instant success, predating Orland Square by three years and the enclosure of River Oaks Mall by two decades. In fact, it wasn’t really until the late 1990s when things began to dramatically go south, despite the closure and 8 year vacancy of the Wieboldt’s store when that chain folded in 1987. 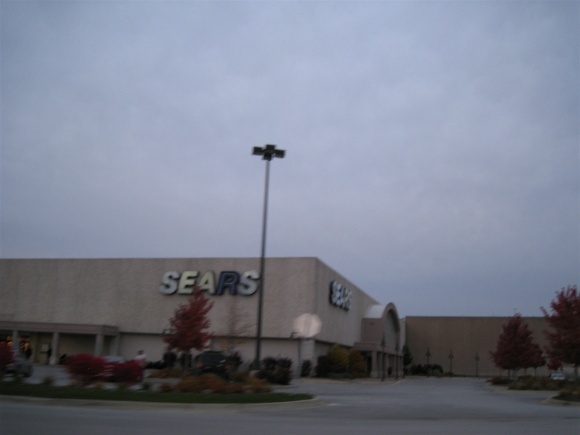 In fact, the mall was refurbished with a major remodel and update in 1993, and Sears moved into Wieboldt’s old location from nearby Park Forest Plaza – an outdoor center that predated Lincoln Mall and died due to its competition – in 1995. 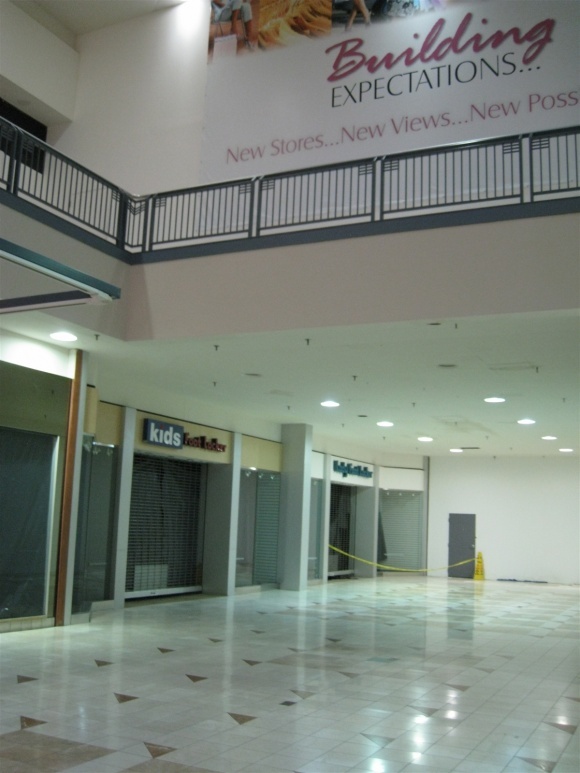 The 1990s saw the beginning of the end for Lincoln Mall. 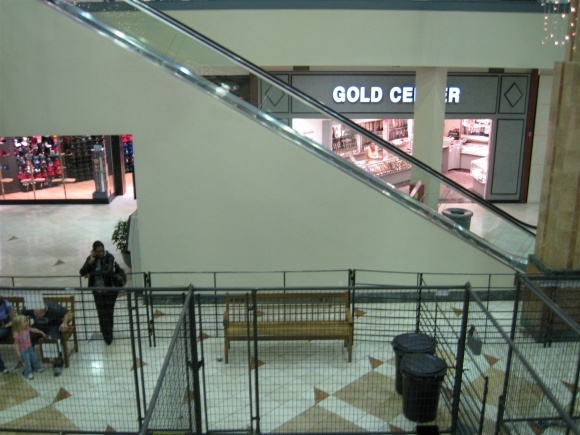 In 1993-94, nearby River Oaks Center was enclosed and up-sized. In response, Lincoln Mall remodeled and filled in the dead Wieboldt’s anchor with Sears, but in the end it wasn’t enough. The unsurpassed growth of the 90s moved the almighty dollars westward, and cities in the Orland Park and Frankfort corridor saw the most growth and the best incomes in the Southland. 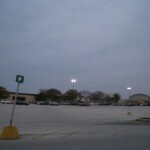 Thus, the retail strip surrounding and including Orland Square, along 159th Street and Route 45 got the best stores. This is still true today. Lincoln Mall’s retail portfolio began to slowly disintegrate, as middle tier and popular national chains began to leave and were replaced by local stores and vacancies. The core demographic of the mall’s clientele changed too, slowly yet surely, from racially diverse to predominantly African-American by 2000 or so, and the stores began to reflect this. 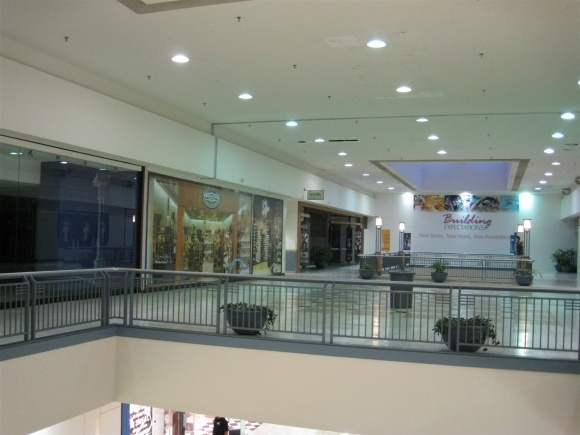 In 1999, Montgomery Ward closed up shop at Lincoln Mall, about two years before their nationwide shuttering, and in 2000 JCPenney left during a round of closings in a lousy period for that chain. 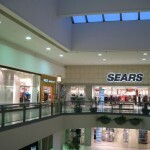 These two blows left only Sears and Carson’s at the helm of a sinking ship. 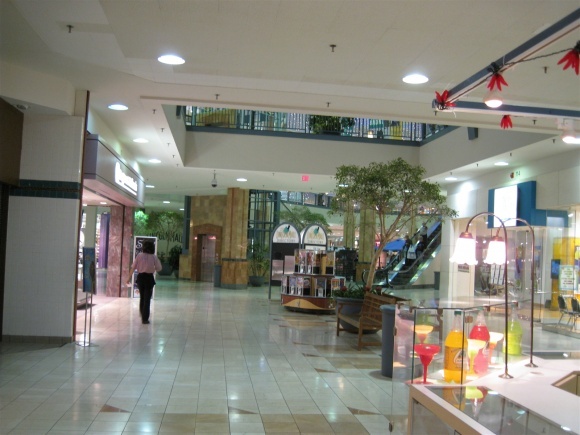 During the early 2000s stores began to leave in droves, and the mall was put on life support. 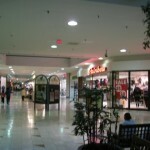 In 2005, a commercial realty partnership from Texas, Realty America Group, was contacted by the mall’s owner to sell the mall. The owner apparently wanted to cut their losses and get out, but Realty America said “Wait just a dog gone minute!” – I’m paraphrasing now – and decided that Lincoln Mall was more of an asset of opportunity than a dead mall that should be left for – well, dead. 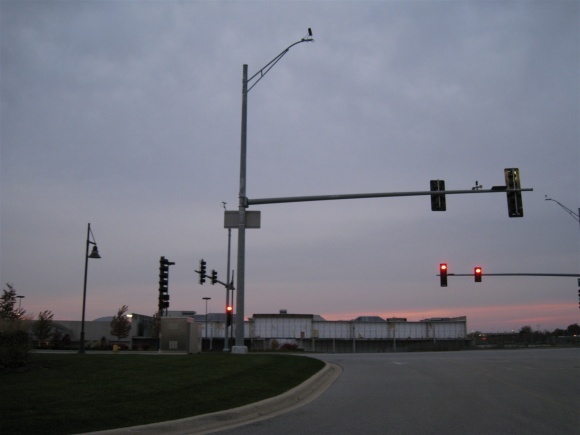 So, after completing due diligence, Realty America went to the Village of Matteson and apparently made a stellar presentation for redevelopment, because they were awarded $45 million for the project in April 2005. Groundbreaking took place in August of that year, with the construction of a new four-lane road behind the mall connecting Route 30 and Cicero. The theory behind this was that prospective new tenants wouldn’t want to be at the “back” of the mall with restrictive visibility and access. The new road essentially eliminates the idea of the “back” of the mall altogether, providing – in theory – the same level of access on all four sides of the mall. Renovation proceeded with some pretty grandiose plans, including the demolition of both dead anchors, complete renovation of the interior space, structural updates, outside facade updates including a new entrance, and a cherry on top. A cornerstone of the entire renovation project is the Promenade at Lincoln Mall, a non-enclosed district comprised of retail boxes, other shops, restaurants, and entertainment taking the space of the anchors that were demolished as well as along the new four-lane road. The new open-air space would comprise between 400,000 and 500,000 of new retail space, restaurants, and a planned movie theatre, bringing the total square-footage back to the original size of the enclosed mall – about 1 million square feet. 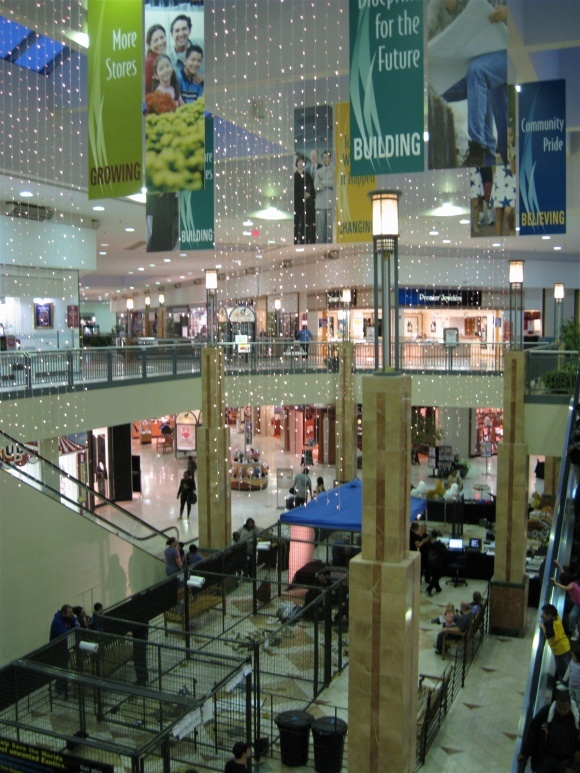 The end idea, according to Lincoln Mall’s general manager, was to create a “best of both worlds” scenario, complete with an enclosed mall for people who want a climate controlled environment in the harsh climate of the upper midwest, along with an outdoor area for big box stores and other tenants who don’t want to be in the enclosed part of the concept, as well as to indulge the somewhat-nonsensical fad of outdoor shopping for outdoor shopping’s sake. Sounds great, doesn’t it? 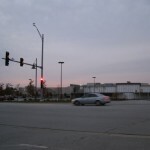 In Summer 2007, the new road behind the mall was complete, just in time for Target to open their new 126,000 square foot store on a parcel south of the mall, south of the new road. 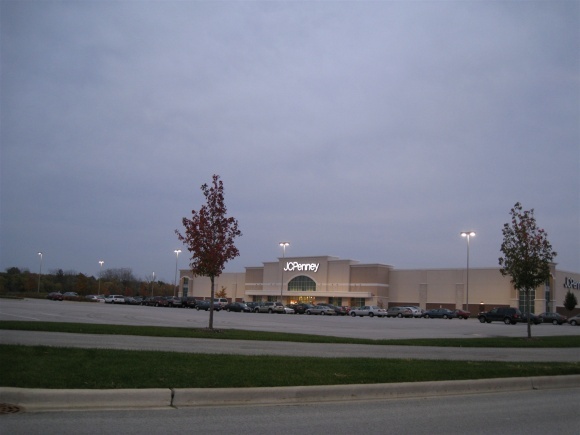 Then, in Fall 2007, JCPenney opened a 106,000 square foot store southeast of the mall, also south of the new road. Then the project kind of stopped. Whoops. 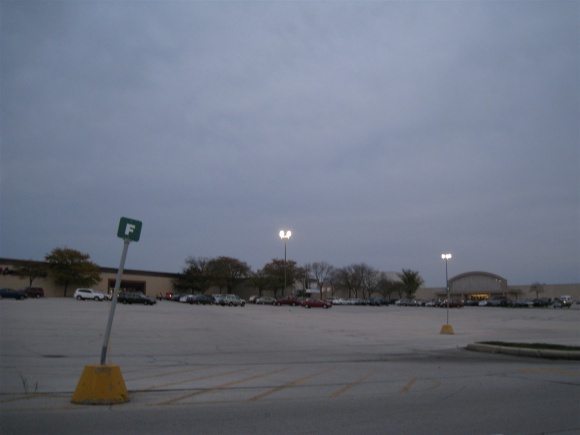 In October 2008, the village of Matteson threw another $10 million at the project, to get the next phase running – the filling in of the demolished anchor pads, the exterior/interior renovations of the remaining enclosed mall, addition of other tenants, etc. About the same time, in September 2008, the Texas partnership of Realty America, who owns the mall, apparently stopped making mortgage payments on it, according to their lender, Texans Commercial. Not so, said the manager of the partnership, Rives Castleman (what a name); instead, he claims that the lender is forcing them into default by playing dirty tricks and instead owes them $20 million; they have filed counter suit. This is all from court documents, as both Castleman and his lawyer, Eugene Geekie (another name!) have refused to comment to reporters. Texans had agreed, in 2004 – when this entire project began – to finance the initial stages of the redevelopment, in addition to the $45 million received from the village at the get go. The loan had an outstanding balance of over $37 million at the time of the foreclosure. The court case began in January 2009, and has apparently screeched the renovations to a halt. 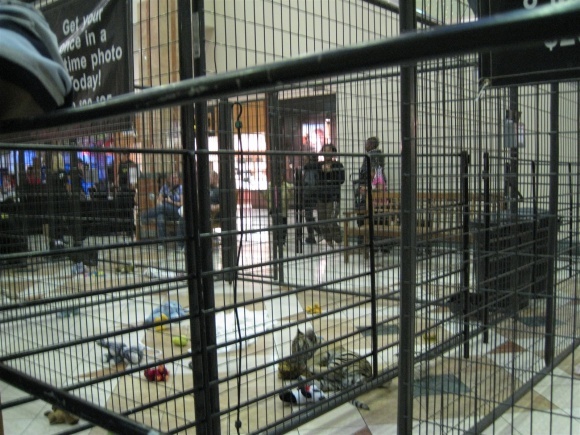 As of October 2009, the enclosed mall looks like a weird retail Frankenmonster (hey, it’s Halloween) – there are gross, visible concrete seams and an unappealing mess where the dead anchors were torn off and demolished, and a temporary fence sits along the half of the mall where the demolition took place. They, at least, cleaned up (most of) the rubble, and the JCPenney and Target are operating in separate buildings south of the new road they constructed. It honestly looks like a terrible mess, and if I were a resident of Matteson I’d be really embarrassed of this eyesore. 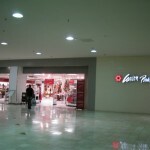 Here’s an obvious question – why didn’t they just put Target and JCPenney in the mall? They had two vacant anchors, and one of them even WAS JCPenney, and they had 2 anchors to put into place. Seems like simple math to me. The mall would have definitely been reinvigorated by having two brand new anchors, including the ever-popular Target, so how is putting them outside and essentially across the street going to ever help the interior part of the mall that they wanted to keep? We’re really scratching our heads here. Unless it really comes together into something cohesive and pedestrian-oriented, linking Target and JCPenney and funneling people into the mall, the Promenade at Lincoln Mall is nothing innovative nor remotely beneficial to the mall structure. It’s been done before – ever see businesses on a mall’s ring road? The interior portion of the mall today is kind of sad. There are some popular national retailers, like Old Navy, Bath and Body works and Express, but there are seemingly more vacancies and local stores. You know your mall is unwell when Dollar Plus is listed under the food ‘catagory’ (sp) on the directory map. Also, they converted an old Sbarro into a place that advertises a combination of Mexican and Italian food. 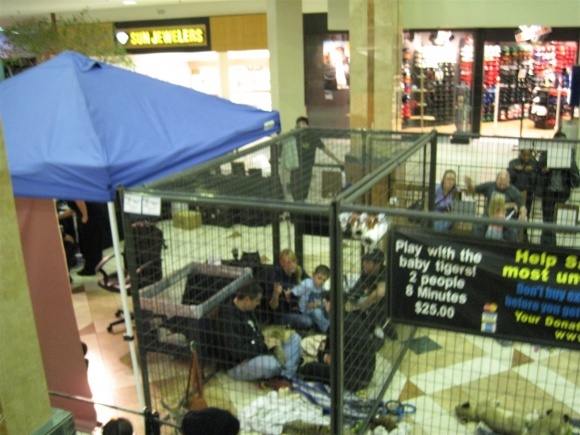 Furthermore, the center court area has been sectioned off with cages where you can pet live tigers, and a temporary stage is set up near one of the demolished anchors where magic shows are held nightly, performed by a mullet-clad man named Joe Exotic. 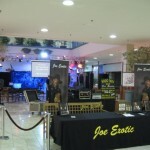 The show itself costs no money to the mall, and Joe even suggests on his website that his shows are great for dead or dying malls. This is a unique and possibly innovative idea, but obviously temporary and not a real solution. 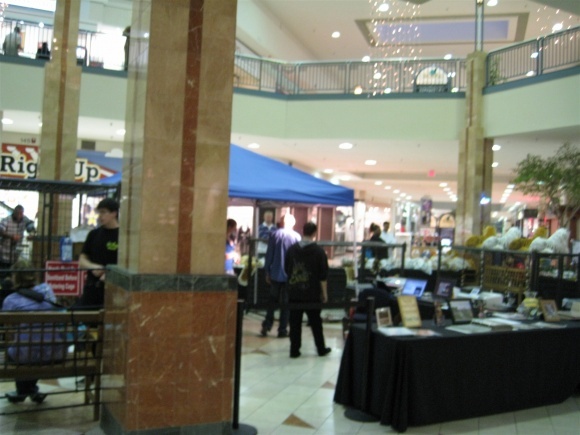 We visited the mall in October 2009, on a weekday night, and walked around and took pictures of the mall as usual, when we noticed we were being mysteriously followed by someone who appeared to be an employee of the mall – a janitor? He had a walkie talkie or a cell phone, but we weren’t sure; the mall wasn’t that crowded, and this person was definitely following us. It appeared to be time to leave, due to this turn of events, but as we were leaving a security guard by the name of C. Mack popped out from somewhere on the 2nd floor of the mall and approached us with fervor. Uh oh. Here it comes, the “we caught you photographing in the mall” spiel. We’ve heard it before, and it’s never pleasant, but what actually transpired here was unexpected and sort of shocking, but ultimately kind of hilarious. He got out a little notebook – the kind real police officers use to take statements – and got out a writing utensil and kept up with our pace (we didn’t stop to indulge him), all pretty intently. At this point, I was admittedly a little freaked out, and a few thoughts whizzed around in my head. Why was I being accused of soliciting when I honestly hadn’t spoken to anyone, at all, since I entered the mall? I had only been there maybe 10 minutes at this point. I was taking pictures, the ones featured with this post, but that’s not soliciting. Did someone not know what soliciting means? At any rate, after I denied soliciting a few times he immediately backed off and started walking the other way. I wasn’t kicked out of the mall, and nothing else happened. I did leave immediately, as planned, and maybe this was their intent, but it’s still kind of puzzling. I have a few questions to pose to y’all: Is this mall a case of biting off more than one can chew, resultant of the current state of the economy combine with the greed and mismanagement of non-local entities looking to make a few bucks? Or is it just a case of bad luck and some honest tries? Maybe it’s a combination of all of these factors. Or maybe we’re completely off the mark here. Leave comments and let us know! Nice write-up on an otherwise bland, uninteresting mall. Even though I don’t really shoot pictures inside malls anymore, my experiences haven’t deterred me from taking any. I’ve spoken extensively about my own run-ins in busybody security or maintenance workers (Latham Circle Mall and Danbury Fair Mall) and other times (actually most times I’ve been confronted) where I’ve simply been asked to put it away. It’s annoying for sure. I still don’t understand why malls are off-limits to photography other than a few isolated incidents of perverts or the specter of terrorism. I’ve discovered taking pictures of malls is a fine art of looking all around you and avoiding peak times of mall cops. It is also good to have a slim low-profile camera that is easy to slip in and out of your pocket so you look like a “harmless shopper” when you’re not telling the fountain at center court to say cheese. Once I got more careful about mall cops and avoided peak times, I have had great success with getting mall photos and have amassed an enormous collection. That does not mean I haven’t had several close calls. It is always best to bring a friend or significant other along, pretend to shop a bit and get done quickly and cautiously. There are also those malls that have management that take mall security and anti-photography way too seriously…don’t let those deter you from the others even if you have to skip those (one in Atlanta is like this, mall cops were standing guard at every corner, dead serious). It is also best to barnstorm cities for malls so that you don’t get nervous, and you don’t waste gas coming back when you have other malls and cities to go to. I’ve also found that mall cops are non-existant on weekday mornings, provided you aren’t on the 8 to 5 drudgery. @JT, Side observation. The signs at Genesee Valley Center in Flint say that taking photos is acceptable if you ask permission first. I’ve never seen a rule like that before; most malls ban photography outright. @Bobby P. (TenPoundHammer), I’ve seen plenty of signs at malls indicating photography is permitted with permission from management. So, if any mall managers want to pre-clear my photographic efforts, feel free to do so. 🙂 Free advertising, right? @Prange Way, I wish of the malls I can think of with outright photography bans, that some of them could revise the rule to the one Genesee Valley has. 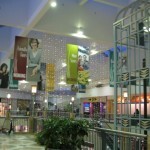 Although I was surprised on one of my last visits in 2007 to Eastland Mall in Bloomington, IL before I stopped attending school, I looked at the list of rules(Eastland is owned by CBL, just for the record), and I was shocked in those rules that they did NOT have one reference to photography! So, least it means there is hope for some malls out there. I’ve noticed it’s very damn easy to get away with photography at certain malls, such as the very huge ones like Woodfield. 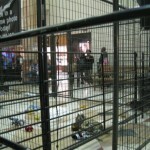 However, some are security-heavy, such as Simon-owned malls. (hoping I can find some way to overcome this, as some of my future photography goals include some Simon malls) Simon mall guards seem to use Segways in their malls, but not sure about CBL, but do want to know since my future goals include shooting in some of their malls(i.e. 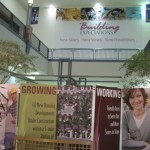 Regency in Racine, Ford City in Chicago, and of course Eastland in Bloomington). @Allan, Eastland would be real easy. It’s my local mall and I usualy don’t see any security. 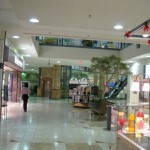 I did get pictures of St Clair square, another CBL mall. Security was much tighter there, requiring more of a commando style. The mall was part of the same partnership or Wieboldt’s, Carson’s and a developer that was responsible for Yorktown and Lakehurst. there were plans for yet another mall, known as Westridge, with this consortium in the late 70s that never materialized. Great post!! I actually visited this mall about 2 weeks ago and was curious to learn more. Lincoln Mall is a very odd place! The anchor stores really make you wonder. It’s interesting how 2 left, they couldn’t do anything with the buildings, and what it looks like inside the mall with them gone. 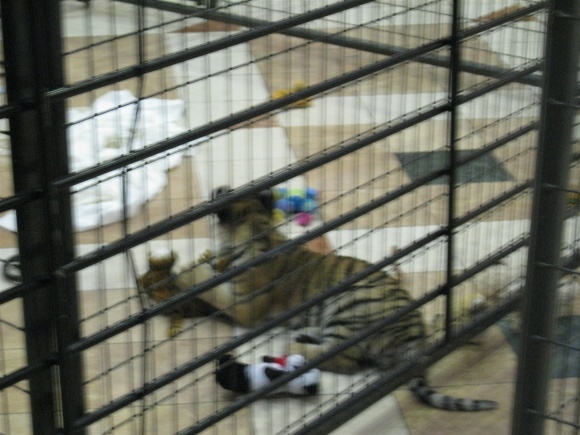 I saw the Joe Exotic tigers while I was there too. 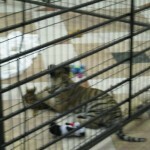 Who actually pays $25 to spend 15 minutes with a baby tiger in a dying mall??? 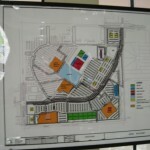 Where was Westridge mall planned? I grew up in the area between Lincoln Mall and River Oaks. 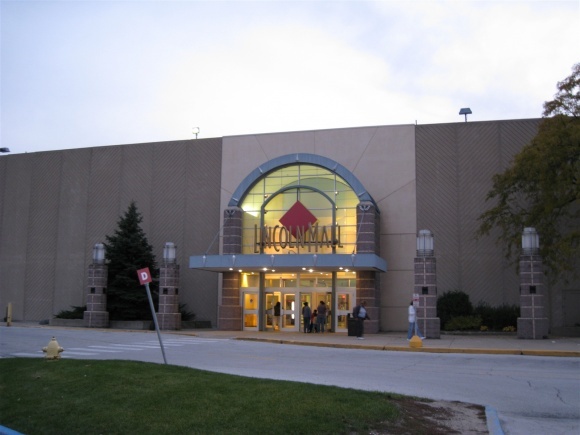 In the 80’s Lincoln Mall actually had the best stores in the South Suburban area. It was in the 90’s that problems with teenagers and gangs started appearing which scared off shoppers that went to Orland, and the enclosure of River Oaks brought all the first tiers stores there, and the shoppers. If this mall was redeveloped right it has potential, but it may never happen. WOW! We are from the same area! lol. You hit the nail right on the head with that one, plus Lincoln Mall never had a food court like River Oaks and Orland. Also the shopping areas for RO and OPark are much larger than the Lincoln area. I don’t think Matteson even has a Kmart, Bed Bath & Beyond, Famous Footware, etc. As for Westridge, I too am interested. Yeah, I grew up in Lynwood, though live out of state now. I used to go to LM during the winter, and RO during the summer when weather was nice until the enclosed the mall in 94, and worked a few jobs at River Oaks in high school. From the 90’s on the area around River Oaks and Orland seemed to get all the stores, but Matteson didn’t always. I think having a Marshall Field’s always helped those areas. I am actually in the mall development business now. 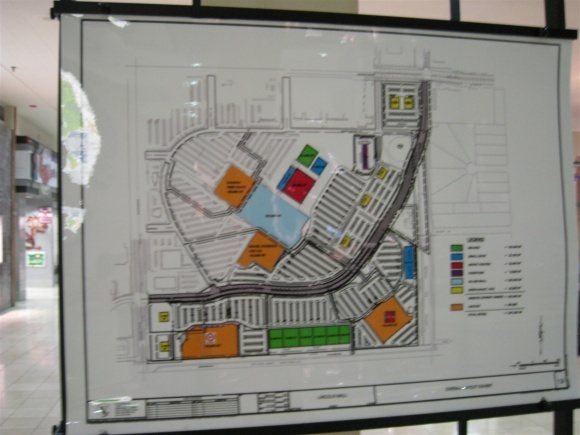 I haven’t been to Lincoln Mall in years, but saw the development plan at a trade show. I didn’t understand why they planned it the way they did- knocking off two anchors without a plan to add something or open the areas up to a lifestyle center didn’t seem to make sense. 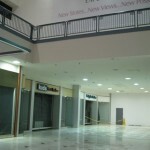 With the mall in foreclosure too, its going to be a while before anything happens to it. Now im really shocked! Not only are we from the same area, but the same town too!! lol. Lynwood is suppose to get some sort of Lifestyle center on the cornor of Glenwood Dyer and Torrance. 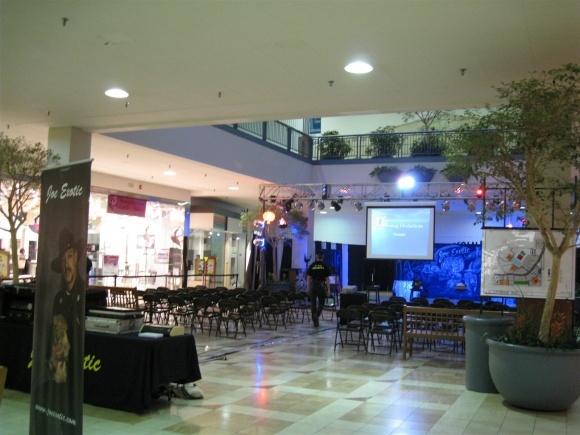 Since your in the mall development business, do you have any clue what the anchor stores might be? Nice to have another person from the area on the site BTW. Nice, another Lynwood resident! I don’t live there anymore but do have family there. As for a lifestyle center at Glenwood Dyer and Torrence- I don’t see that happening anytime soon. 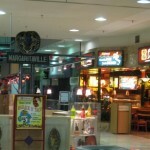 During the last few years there were lifestyle centers planned everywhere. There was supposed to be a large one on Glenwood Lansing Road just over the border in Munster that has been cancelled. Another one over in Schererville was started on the old mini-golf course but the retailers are all on hold, so it may be a few years on that one, and Carson Pirie Scott would have been the anchor (moved from Woodmar). If any mall has a chance in Lynwood it would be if the casino goes in (though that seems on hold too) They hired General Growth to develop a mall there at Glenwood Lansing and Stony Island. Target looked at going there, but that too is on hold, and by the time its built there may be different retailers looking. I live next door to a village official and they told me that the casino deal was cancelled because of all the nearby towns (Calumet City, Country Club Hills, Lansing, Glenwood, Dyer,IN) voting against it. As for Target, that sounds wonderful that they are thinking about moving here! Maybe we’ll even get a Costco too. I really do hope Lynwood can have SOME sort of commercial busnesses. It’s nice to have Mc Mansions popping up all over town, but we need stores too! By the way, did you hear about the proposed downtown Lynwood? When JCP and Wards torn down, they also knocked out about half of the Wards wing. You should probably mention that. That doesn’t look very comfortable for the pet tigers. I was there back in April doing some photographing and also found the security types a bit over zealous. Lincoln Mall may not live much longer, there are signs just up the road in Country Club Hills (about 5 miles from Lincoln Mall) that say that an outlet mall will be built soon. There will be no reason to go there after thats built! Yeah, I saw that sign too. There is also a sign for a new water park to open as well. @Opkl, Speaking of this project, what is the current status of this project? Did it ever become completely built, partially finished, or was it never built? I wonder if it even got underway at all, since the recession that begun in 2009 caused many developers to halt retail shopping center projects they were trying to finish. I know some are starting to progress again, now that the recession ended, but many are still on hold. The more “troubled” a mall is, the more ticky that they are. That means…dying mall, nice mall in ghetto area or hypersensitive mall management (Forest City malls are ridiculous). Also, crowded times are the worst time…always avoid photography on Saturday nights if you can help it. I had a lot of close calls in the mall on my last post. 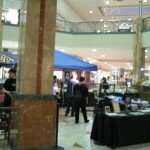 I think the security people being picky about photography in malls is one reason malls are dying. It creates a negative atmosphere, just like the harrassment of young people in the malls that have an under-18 ban. Malls are killing themselves by discouraging the very people who will be their main shoppers in the next few years, making them never want to come back. The store variety is another problem in most malls. I remember when music stores, drug stores, book stores, electronics stores, etc., were in malls. Now, clothing is the main thing, and there’s not much variety there either. Great post, and what a strange mall! 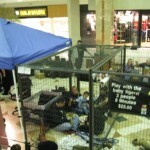 Hell, put Joe in a cage and let the tigers roam free around this depressing-looking dying mall! 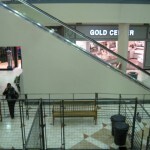 Lincoln Mall started to decline really bad right after JC Pennys and Wards left. The mall was never the same after they left, and although Pennys came back, they were detached from the mall. The Mall also got a bad rap because of the surronding areas racial makeup was changing or had changed, when in reality there no more crime there they at any other mall in the area. The mall itself was a nice place to go growing up, The arcade was huge, there was no food court, but lots of places to eat like Mc Donalds and Oconnels Pub. 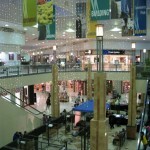 It is also one of the few malls in the area with giant skylights. They are the biggest I have seen in a mall! Hopefully they will get things going again!! Chris, it isn’t necessarily the security guards as the problem, they are merely doing their jobs, and some take it more seriously than others. It all goes down to the management that runs these malls, and usually the REITs themselves are to blame rather than the security or even the mall managers, who have practically no control over anything. What I don’t understand is how photography is prohibited in a shopping mall but is allowed in a public street such as Rodeo Drive in Los Angeles or even at a open-air lifestyle center. I can also go to any outdoor plaza and take pictures without any problems. @Gary, I’ve been accosted by security at lifestyle/outdoor malls as well. Most of them probably have the same rules as enclosed malls re: photography. It’s realy a public vs. private property issue. On public property, like Rodeo Drive, photography is permitted by the first amendment. While on private property, like a mall, you are under their rules. Best thing to do with this place is to fire up the bulldozers. With the place in foreclosure and looking like a unfinished construction zone, it will never attrached the high level retail names to keep it afloat. 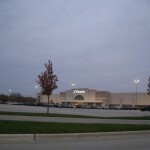 Matteson has a one of the higher income levels in the Southland and should be able to support a large mall like this. But that crowd heads over to Orland instead because Lincoln has never had a good owner to bring this place to its full potential. To all those mall cops out there: let the guy take his pictures!!! I heard rumors about Nordstorms being added as an anchor connecting to the mall. Does anyone know if this is true? I find it very weird that Nordstorms would skip Orland for Lincoln Mall. @Opkl, If anyone added Nordstrom here, I would accuse them of smoking crack. @Prange Way, Agreed. Putting Nordstrom here would be like putting a Big Lots at Oak Brook Center. It’d just be totally the wrong clientele. @Chip, Hmmm, something makes me think Nordstrom would be waaaaay upscale for Lincoln Mall. 🙂 If Lincoln really had a competent owner(and darn, why the bleep the owners didn’t do the sale sooner and properly reassure Sears, so that the one here wouldn’t have closed at the end of last month), I think they could’ve landed Kohl’s by now, and perhaps with some work they could get Von Maur. After all, they are at Charlestowne, which isn’t exactly a very successful mall last time I checked. 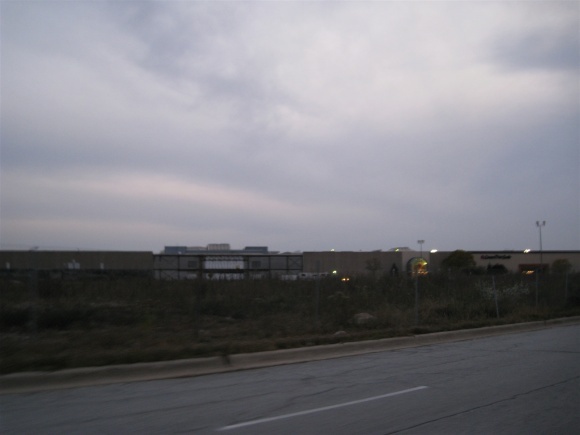 I also think the fact they tore down the Montgomery Ward on the east end of Lincoln Mall, was a big mistake. Heck, the owners should’ve(at the very least) tried to land something like a Kaplan University campus, IMHO. Hmm, I’m wondering if that is a dead Structure store in the photos. Yes, it was. It opened with the renovation in 1992, closed by the end of the decade. I grew up with Lincoln Mall as my local mall. I got my first suit as a little kid from the Wieboldt’s. To tell you the truth, the mall started to flag when it was remodeled years ago before there was the smoking ban in malls. At the anchor ends, there used to be sitting areas that you had to step down into and a cool sort of 70s look to it. The tile and logos on the mall you see now were the result of the remodel that was supposed to revitalize it. That was years before Wards closed. In a lot of ways, the decline of the area around the mall probably contributed to the decline. It’s a shame, because it was a cool place. Once upon a time there was a big Aladdin’s Castle arcade (ostensibly closed to control gangs or errant kids or something), a B Dalton, a Waldenbooks AND a Kroch’s and Brentano’s, a Noah’s Ark pet store (I got my first puppy there in the 80s)… it was a vibrant and cool place and it’s been a steady drop ever since. I saw the road being built out of the mall drive (thru where a theater and Hostess outlet, among other things, had been for years) and the destroyed wing as it was all going down. Quite frankly, the consensus around the campfire was that it was meaningless and making it more convoluted and confusing. If anything, the new road only serves as a bypass for the frequently backed up intersection of Cicero and Lincoln Highway. It’s going to break my heart when the place finally dies. Lord knows with Dixie Square, the debacle that is Woodmar, and River Oaks (which is also starting to fail), all we need is another dead mall. Incidentally, I wouldn’t count on Nordstrom’s finding it’s way into Lincoln. There’s no customer base for it. If it isn’t at Orland yet, it will be before too long. They have tons of space out there between Orland Square and the old Orland mall that was converted into a sort of lifestyle center. @Sam, I don’t see Simon building another wing to Orland Square just to add a Nordstroms, esp. in the current economy. Taking down the old Wards in Orland Park Place would make more sense. Wowww, what about Wag’s? It was a restaurant next to Noah’s Ark. We had a huuuge McDonald’s! We had a Gap. What about Merry-Go-Round, Silverman’s, JW, Mothercare, Kay=bee Toys,. Ahh, yes the arcade. We would go there and play games while we waited for the next movie to start–wasn’t the movie theater in the mall before they separated it? I even remember go carts at the back of the arcade when it first opened. Wish there was a directory of the stores when it was in its prime. I remember going to eat at a place that was near Carson’s that had an outside wall also. Yeah, I didn’t think Nordstorms was going to open in Lincoln. As for River Oaks, its far from a dead mall if you ask me. The mayor of Calumet City (where RO is located) stated in the paper that Macy’s at River Oaks had the 12th highest sales rate for the Midwest. Sears looks like its going to stay put. Same goes for Carson’s and Penny’s. Also all the new big box stores across the street at River Oaks West mall is a huge improvement. Now if they could just fix the shopping center where Target is now and the shopping center along Torrance near I-80 everything would be fine. Yeah, the RO Macy’s is actually 12th highest volume in the eastern half of the country out of about 300 stores. It was always a strong Marshall FIeld’s store too. That area has its problems, but there is always going to be a dense population and few other malls nearby as competition, so its always going to be strong for retailers. The restaurant near Macy’s was Tavern In the Oaks restaurant. It was there for many years and closed around 1998 or so (they sold their liquor license to the Applebees that opened nearby) There is a space near Lenscrafters that has been vacant since the mall was outdoor, but its too hidden to lease easily. There was a plan 2 years ago to demolish Mc Donald’s and build a new 14 screen theatre as the anchor on that end, but I’m not sure what is going on with that. There are a lot of dead or dying malls around the country… my city has four large malls and the central most location is the worst one. I believe it’s mostly the concept of having the LARGEST buidings is steadily going away… and companies are focusing on smaller more targeted locations and relying on awesome customer service. Building a Nordstrom’s here? HAHAHAHHAHAHAHA! Thats funny. List of stores from 10/00. Any idea where the Subway or Original Cookie Co. were? As for the store near Sears/ Macy’s, I have no clue what they might have been. The mall is also starting to become very diverse in terms of shoppers over the last two years as well. @Opkl, I would say that between the two theater complexes, one could become a Carson’s home store (since the current Carson’s is pretty small) and the other could become a Marshalls (TJ Maxx is across the street). The Carson’s Home store sounds nice. You got Marshalls and TJMaxx confused, Marshalls is across the street, not TJMaxx. I was hoping for potential anchor replacements wouold be Parisian, Jacobson’s, Dillard’s and/or Von Maur, since the latter has taken over the Yorktown Wieboldt’s. @Randy Hansen, Dillard has been a failure N of the Mason-Dixon. Their level of uniformity seems to work in the Sunbelt, but not elsewhere and the service has always been horrible and out of synch with the clientele they want to to attract. They also seem particularly clueless about well-off African Americans. They wouldn’t work at Lincoln Mall. Jacobson’s went under in 2002, Randy, and I don’t think Bon-Ton plans to re-expand the Parisian chain back out of Michigan. Dillard’s doesn’t look like it’s going to expand to northern Ill., and Von Maur would be too upscale. Personally, I don’t think the remaining 2/3 of this mall is going to be around too much longer. I looked at a map I made in 2007 and a more recent map, and there are still more vacancies cropping up. 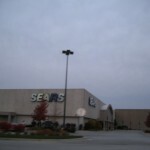 I went to Sears at Lincoln Mall back in October on a shopping trip with my father. Now, I’m from Chicago Heights, IL. About 4 miles from the mall. It was my old stomping grounds back in the late 80’s/early 90’s. My friends and I would hang out there for hours. Especially when Aladdin’s Castle arcade was there. Anyway, I hadn’t been to Lincoln Mall in about 4 years or so. I either went to Orland or up north. I knew the mall was dying out. When we went around to where Wards was, I was shocked to see that arm torn down. No one had told me they were tearing parts down. It was actually quite sad. I had worked in that section of the mall in 1997 at the K*B Toys. I still say turn the mall into an outlet mall. It would really bring more smaller stores and people to the mall. And I yes, I do remember Weiboldt’s being there. I bought some GI Joe figures there in the mid 80’s. I also remember that the boys clothing section had this giant pillar in the middle of it. It looked like the mast to a pirate ship. Or at least, thats what it looked like to me. I grew up in flossmoor, which is also very close to this mall. we called it “stinky linky” when we were kids because its been awful almost as long as I can remember. 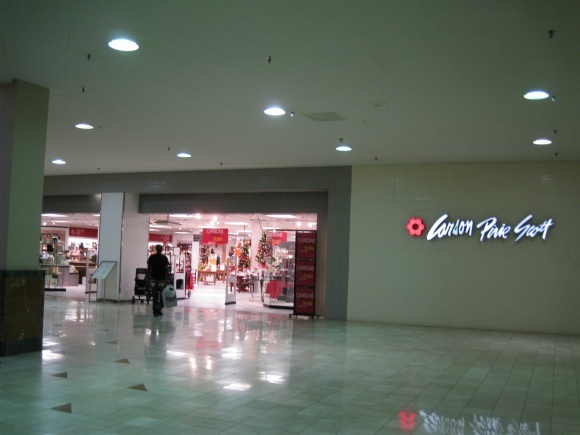 however, in its defense when my family first moved to Flossmoor, Lincoln Mall had a small Gap store in it. this was excellent for the one year it was open and we could go to it. then we only ever went to the old navy. which is perfectly acceptable. but that mall….oh boy. its very frustrating to drive to Orland to go to a Gap that we used to have. also this mall has been claiming it was bringing in new stores and remodeling for almost 10 years now. I remember my family and friends talking about it and reading the articles in the Daily Southtown telling us how fancy our mall was going to be. My mom even got most of our community to write letters to businesses asking for them to bring their stores to Lincoln Mall. Because there is a market for it, there are many wealthy suburbs nearby including Homewood and Flossmoor which I did not see mentioned in this article but are frequently called “the diamond of the south suburbs.” Silly, but proves the point that there is business to be had! But there were a few years of silence about the topic, the most recent campaign’s tagline is “were serious!” which is funny, because there is no apostrophe, so it reads “WERE serious” which may be true, at one time they probably were serious, but now. its just a joke. The Gap at Lincoln Mall was actually there for a while. I used to work for the company during the 1990s and even though the Lincoln Mall store was newly renovated then, business was dropping off by 1996. The store was slated to close, and then the mall’s owner made a deal to keep them for 5 more years. I think it finally did close by 2002. There were two gaps in the mall over time. The original Gap was down by Carson;s and was very large. Sorry, it was down by Wards, upstairs. Would you like it if I snail mailed a copy of this story along with a vitriolic message to the Lincoln Mall management? I would also need clearance from Jason/Ross as it is their copyrighted content. I want to take those suckers down a stripe or two. Good write-up on this mall. SInce I remember reading about the proposed renovation of this mall a few years ago, and hearing JCPenney had reopened in this mall(never realized they ACTUALLY weren’t attached to the mall, dumb me), and as I don’t live in the south suburbs or spend time in that part of Chicagoland very often, I had kept wandering what the status of Lincoln Mall’s renovation was. It’s very depressing to hear the renovation was never finished, considering I once went to this mall as a kid when me and my family were coming back from a vacation, and spent time going around the stores and seeing a movie in their long gone 3-screen General Cinema theater. How’s that for an ancient memory? I also grew up with Lincoln Mall – I had a lot of fond memories of the Aladdin’s Castle predecessor, LeMans Speedway. It had LOTS of pinball machines, and a bumper car track in the back. My folks would go shopping, and I’d make a beeline for the Speedway – or to Kroch’s & Brentano’s at the other end of the mall. Eventually, the track got ripped out, and then Aladdin’s took over. Pinball gave way to video over the years, but didn’t disappear completely. 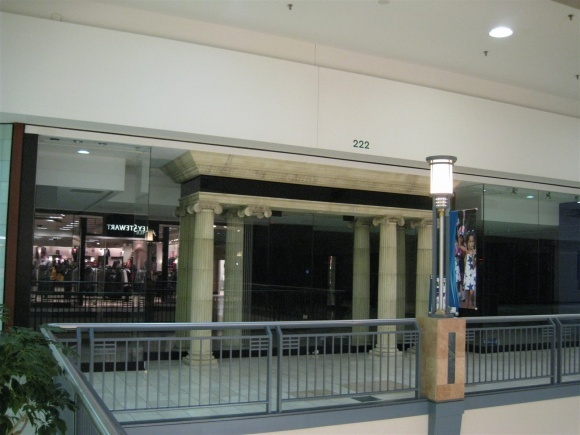 Then the mall got its 1992 redo, and the first thing I noticed was that the arcade was gone. When the McDonald’s closed (it had been open since the mall was built), I knew it was doomed for sure. I’ve been back a few times over the years, and it’s hardly a shadow of what it once was. If I had to guess, if it doesn’t become the next Dixie Square, what’s left of it will end up being turned inside out in the manner of Orland Corners. It seems that only a lucky few enclosed malls have a chance these days, and I suspect the issue is visibility. People are in a hurry, and they will more likely visit a store that can be seen from the road than one tucked away in a mall. @Russ, You’re right that some won’t go to stores tucked away in malls, but there are still many that do like the convenience of indoor shopping(and don’t underestimate this), especially in harsh Midwest winters! I know I’d be very irritable, if the only shopping centers that existed were outdoor ones(a la Old Orchard, Oak Brook, and River Oaks pre-’94), and the newish trend of annoying lifestyle centers(hate lifestyle centers greatly, and still to this day am not wild about the ones that replaced both Brickyard Mall in Chicago, and College Hills Mall in Normal, IL). Back to Lincoln Mall, very interesting to see Kroch’s & Brentano’s was at this mall. Was it inside the mall(a la Waldenbooks or B. Dalton), or in an anchor space with an outdoor entrance? And were they ever in any other Chicago area malls? Well, need to get cooking on some more mall photography I’ve long wanted to do, and trips to malls I’ve yet to visit. From the experiences of others, is photographing in depressed malls tougher to do(and when security targets and gives the best scare to anyone in the act they witness) than in thriving malls? 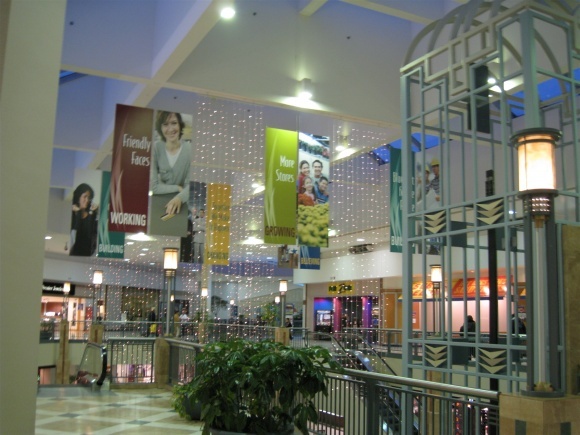 I was considering doing a photography trip to Marquette Mall in Michigan City a little bit down the 2010 road, that’s why I’d like to know if what I’ve occasionally heard is a typical rule of thumb when it comes to indoor mall photography. @Allan, not to also mention catch up on mall photography I’m behind on uploading to my flickr account! Just be warned I tend to be a bad procrastinator on getting such photography uploaded, but it’ll happen very soon. My account there is prfsnlwannabe, and if you’ve ever visited the flickr Labelscar group, I uploaded a few pics in the past to that group. Be on the lookout for my pics I took during the Golf Mill 2006-07 GGP renovation(both indoor and outdoor) I’ll soon be uploading to the group! Noticed your question about Kroch’s and Brentano’s. Yes, it actually was inside Lincoln Mall, next to the Carson’s store. Kroch’s was in all the major Chicago area malls and would always just locate inside next door to one of the more upscale anchors. As a matter of fact, I recognize the Kids for Less store in one of the above photos actually used to be Kroch’s and Brentano’s- I recognize the brick, and ever since they closed the tenants have not remodeled. I also remember they had stores at River Oaks and Orland both right next to the Marshall Field’s stores. @kdk, A very belated thanks for answering my question. 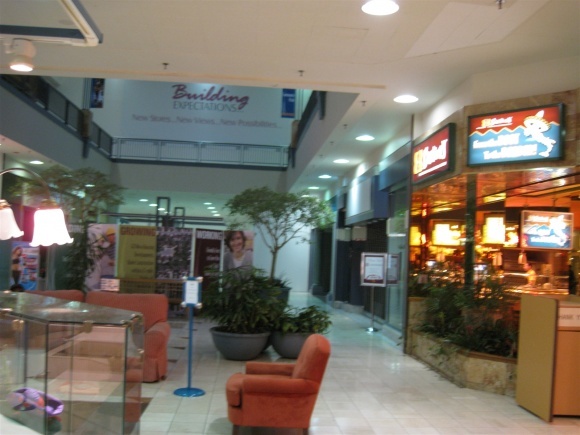 Kroch’s and Brentano’s was also located at the River Oaks mall..at least in its open-air glory days. I have fond memories of what Lincoln, RO, and Woodmar used to be. Sad to see what time & economic turmoil can do. Feeling nostalgic, I actually took an impromptu trip to Lincoln Mall yesterday after periodically reading last year about the alleged retailer difficulties they’ve been facing internally and from the Matteson village hall. I came out of it with mixed feelings…..sure there’s plenty of vacant store space to be had and not much of the chaotic bustle the Mall saw in earlier decades, but the interior decor doesn’t look too shoddy and can be ameliorated by simple refurbishing and a food annex upgrade (say on par with Ford City’s). Of course these ideas will be contingent upon Matteson village officials and the present mall owners coming to their own mutual resolutions, but consider me guilty for having a Charlie Brown heart for the now lost little mall that nobody wants. For some reason, people seem to think everyone in the southern suburbs has a low income, and little education. Sure, there are poor areas, but Olympia Fields where I live is a wealthy area in addition to Flossmoor, and many parts of Homewood and Matteson with plenty of people who are professionals, solidly middle and upper-middle class who shop at Nordstrom. Hey retailers – many residents have graduate degrees and have incomes in excess of $100-200K. Go figure! Because our area is very ethnically diverse, for some reason retailers assume that the area would not support higher-end retail stores. I wrote to the owner of Lincoln Mall who point blank told me that they have trouble attracting retailers because of the demographics, and that even Kohls doesn’t feel those living in the area are their “client base”. Kohls is fine, but when in the hell did they become Saks Fith Avenue? Really frustrating. Nothing against it, but I don’t seek out “urban apparel” stores b/c I’m Black. Try finding a nice Ralph Lauren polo. “Nice” clothing does not simply mean “Sean Jean”. Nice generalization retailers! Such narrow-mindedness. I’m just glad JC Penney and Target is doing well, but I’d much rather spend my money closer to home on higher quality, higher end clothing than traveling to Orland, Oak Brook, Woodfield, or downtown. This is quite a comprehensive article here. I am very familiar with lincoln mall and what you are saying is very true. Any new updates about this mall? I grew up in CCH and there were several shopping malls within driving distance; Lincoln, Orland, Bremen, and Washington Square Mall to name a few. I really did like Orland the best, but Lincoln was the closest and so I would go there with friends and family A LOT. Up until I graduated from high school and went away to school in 1991 anyway. I loved several stores in there, they had Boston Shirtyard, The Tinder Box, Chess King, Merry-go-Round, Aladdin’s Castle, Gloria Jean’s, Coach House Gifts, The Children’s Place, Musicland, even a magic shop at one point. I liked it because it felt like home. I went there probably 6 years ago maybe and it felt so different, no personality at all. I think malls today lack character that differentiate them from one other. I love the theatre that isn’t there anymore, it’s where I used to play Zaxxon and where I saw Beverly Hills Cop, Back to the Future, and Jaws 3. Hope it comes back for a new generation to grow up with. @Mike S., So true! That sadly seems to be the case of so many malls, nowadays. Removing center fountains, 70s/80s/90s/etc. interior design elements that give the mall it’s character, remodels of stores that give it a bland stucco look, I could go on further. But won’t, since I know you and others get my drift. I heard rumors that Sears was pulling out of this place. 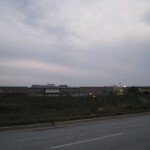 Lincoln Mall starting going down hill when the CHA starting clsoing down low income housing in Chicago. The migration of minorities to the South Suburbs brought crime, car thefts, shoplifting, etc. to the Mall (and white flight). This is not a racist comment, just a fact. As far as the South Suburbs having “high income”, it doesn’t hold a candle to what is really considered “high income”. Olympia Fields was “once” considered “high income” back when everything else around it was “middle class” (back in the 70’s). Now? I wouldn’t live out in the “South Suburbs” if you payed me. It’s a run down joke. And all it ever was out there was a home to a bunch of over paid factory workers that managed to graduate from High School. @William Fold, I live in the South Suburbs and your comment that it is a “run down joke” IS a joke. Yes, we are not millionaires – we are hard-working, blue collar, and diverse – basically things you wouldn’t understand if I drew you a map. I love your spelling of “paid” also, genious. Maybe those factory workers could teach you a thing or two. @Joseph L., Yes, that William Ford has alot of nerve and a “North Side” nose in the air attiude, which shows how snobish people up “there” are!!! Looks like River Oaks Center will be adding Dillards sometime next year. This will be the first Dillards in Illinois. @Hickorydar, Rumors of Dillard’s entering Chicagoland have come up every once in a while (one a few years back had a more comprehensive approach, with things such as Dillard’s opening in the old The Fair in Evergreen Plaza). I’m sure it’s fake: Wikipedia is the only place on the web that mentions this, and there’s no news articles. I reverted the article. Dillard’s has been in trouble for several years, with sales dropping on a fairly regular basis. They aren’t expanding anywhere in the foreseeable future. They also have done poorly in the more northern markets and would be totally out of their league in Chicago. I have lived in nearby Homewood for most of my childhood, up until I was 18 actually. I can remember going to Lincoln with my parents and having the time of my life, they used to have a great assortment of shops and entertainment. I remember the Sbarro, and all the mirrors it had in their store, it was actually pretty exciting for an 6 year old like me. Things went downhill quickly as Orland began stealing away some of the smaller stores. 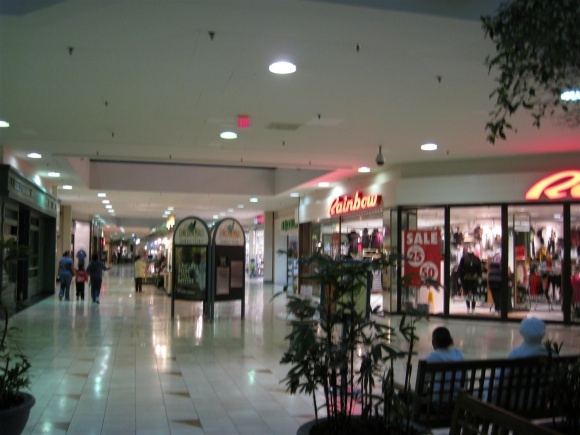 Around 1998 the mall started becoming what it is today. Anchors started going out of business, gangs began roaming the mall and urban blight struck with a fury. Nowadays people in the area now to avoid Lincoln Mall, you can go to the target or JC Penny but going into that mall is dangerous. You will be stalked, you will be stared at and you will be scared. The mall is so desperate that I think they have plain clothes armed security there. If you look outside of all the remaining anchors there is typically middle aged gentlemen wearing the same colored polos just siting on the bench waiting for the next incident to occur. Bottom line is, don’t go. @Craig, that’s a flat lie – while the mall is doing very poorly, I have never seen any incident there and have never been “stalked”. I worked in Lincoln Mall from 1999 to 2003 when things started to go down hill. Wards left the Mall and things were still holding their own. 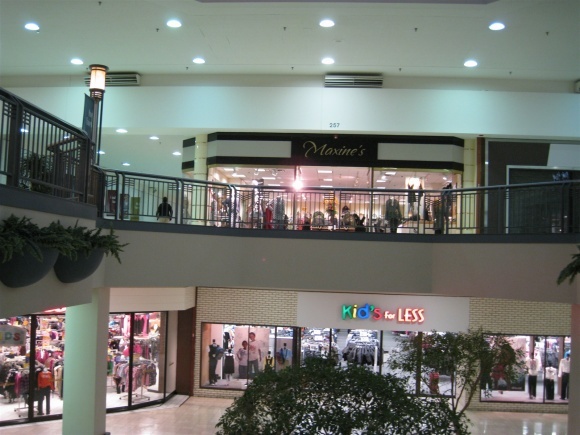 When the mall found out that Penney’s was leaving the mall, they started to panic and made a lot of deals with some of their more popular stores. For example, Old Navy was offered a storage space right next to their store for free and was told they no longer needed to pay rent. When the GAP decided they wanted to leave the mall, they too were offered the same “no rent” deal, but I think Old Navy kinda put the nail in their coffin because you could buy very similar clothes (they are the same company after all) for much cheaper prices. Structure was kinda shady on how they left the mall – they had A LOT of stuff wrong with their store (bathroom was out of order, water leaking in the office and break rooms) so the employees were told the store would be closed for remodeling…well they closed and just never re-opened. For a while, Kohl’s was interested in taking over Penney’s store, but Penney’s OWNED that store and wasn’t willing to sell it to either the mall or to Kohl’s…so really, that anchor being vacant for so long wasn’t the mall’s fault. Penney’s used that space for storage and as a warehouse for YEARS. Finally, Penney’s sold the store to the mall when they opened the new Penney’s on the outskirts of the mall – that was when the mall decided to knock the building down. If Penney’s would have sold that store to either the mall or to Kohl’s….the mall might have had a fighting chance in making a come back. Sears and Carsons also own their stores – I don’t know how Sears is doing business wise, but I know that Caron’s actually do pretty well. A lot of people go to Carson’s and just leave – because they don’t want to drive out to Orland or RiverOaks. 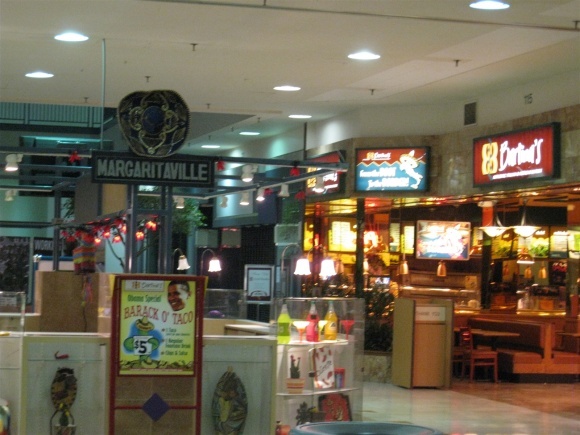 I really would like the mall to do a 180 and get some better stores in there and get some food places in there (we only have Great Steak and Potato, Auntie Anne’s and some Hot Dog joint called Carnival). Lincoln Mall has lost 2 more stores, DEB shops and New York and company have left. There seems to be no improvement in sight for Lincoln Mall. The Target and JC Penny seem to do well but the area where Montgomery Ward was Torn Down look terrible, you can see the insulation comming off the wall and the area where JC Penny was is now a large empty field. 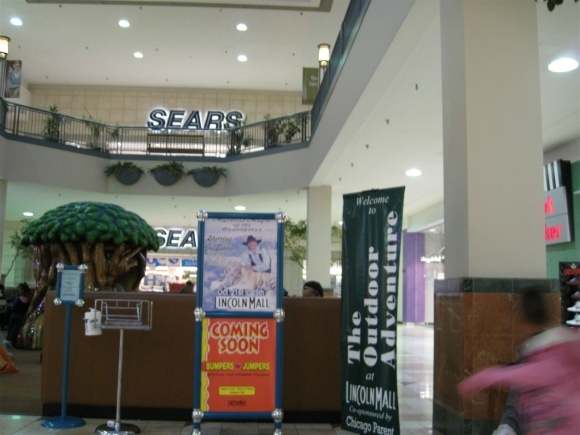 Its been about 6 years since they were trying to remodel Lincoln Mall but I feel it will close soon.! This was very well written. I wrote my master’s thesis on the redevelopment of this mall back in 2001-03 when the Texas group just got involved. Not only did I think it was strange for a group with no mall experience buying one of the eight largest malls in Chicagoland, but I also thought it stupid to allow them to do so with so much taxpayer money. And I also believe you hit on the most important point: allowing the access road, demolition (especially before any new construction within the mall) of anchors, and big boxes on the back end did more to expedite the demise of the mall. Had they only considered reuse, or at least, attached the new Target to the mall, it would have stood a better chance to lure news stores inside. The Village is largely to blame in all of this. Aside from the tax finance portion of the deal, they allowed Target to relocate across the street from the own store, leaving yet another empty big box after watching a half the “big boxes” in the city go dark and remain vacant for years. No foresight. No creativity. For my part, I bought a house in “Old Matteson” hoping to be a part of the growth of the Village and putting my money where my mouth–was. Needless to say, I walked away from my house because the market collapse, the mall and my home losing more than 40% of its value (Zillow estimate)–a historic (de)feat– was too much to bare. Thanks for taking pictures too. Not much changed since I started taking them back in 2001. 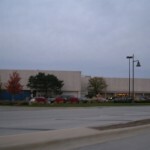 As of a few weeks ago Old Navy has moved out of Lincoln Mall over to a new store in Tinley Park. That store was the only thing that seemed to draw people into the mall and often seemed to be empty compared to their location in Orland. I’m sure the new location in Tinley will do well, but this is a big blow to Lincoln Mall. Target and JC Penney right across the street from the mall seems to do well with a steady flow of customers on Saturdays, but otherwise the mall parking lot is empty. It is an absolute shame what has happened at Lincoln Mall. This place was bustling back in the 90’s. I don’t know whose great idea it was to allow JCPenneys and Target to open stores outside the mall – that is what would bring people in!!! I still go here about once a month (my kids play at the playzone) and we get an Auntie Anne’s pretzel. I don’t know how they pay the electric bill there, but if the Village doesn’t act soon, an abandoned mall is what you’ll have. 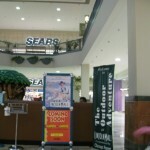 Lincoln Mall will be shutting down on May 30 along with the Sears and I’m not sure about the Carsons. I saw signs for the store closing at the Sears and an employee confirmed this and said they found out yesterday. I’m not surprised this is happening from my visits over the recent years, though am saddened since I remember many visits to both Lincoln and Orland Malls. This is a real hit for Matteson since they also lose a Best Buy this week. The mall was going great until JC Penneys pulled out their store within months of Montgomery Wards closing and can’t help thinking what if. @Brad9132, You sure on this? I’ve found nothing on the Lincoln Mall or Sears closing. Yes, go to Sears and on the lower level all there are signs saying due to the store closing all repairs should be taken to River Oaks Sears. I’ve been looking in the local news and haven’t seen anything regarding it. Supposedly the employees found out on 5/9 at Sears. 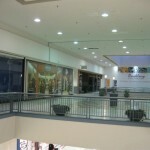 Lakehurst Mall closed back in 2004 and not back in 2001. My neighbor was there a few nights ago, and said a security guard told her the mall would close permanently on June 1st. I’ve called Matteson officials (no response), wrote to the Matteson economic director (no response), and looked everywhere in the media for news of this — nothing. I don’t doubt it’s closing, as it’s been virtually dead for years, but it’s still disturbing news. The entire area (I live in Park Forest) is deteriorating, we have way too many empty buildings as it is, and to have an empty behemoth added to the blight is worrying. I can’t blame businesses for not wanting to come into our area, because on the surface it looks crummy. Rte. 30 east of Central is just ugly, period. Likewise Sauk Trail west of Lakewood to the expressway, and Halsted all parts north of Crete. Drive through the business/shopping areas of Frankfort, Mokena, New Lenox, Orland, Tinley, and there’s a brightness to them, a sense of open-ness, light, alive-ness, if you will; businesses are required to keep their premises maintained and actually attractive (Tinley could be stricter). I’ve lived in Matteson and PF for the past 38 years, raised my kids here, and the business drags of 30 and of Sauk Trail have always looked like heck. Unattractive, uninviting, and increasingly shabby. I haven’t shopped (except for groceries) in this area for over ten years, heading west or southwest for shopping, dining, entertainment, pretty much everything. When friends offer to come out my way to do something, I always tell them I’ll come out to them instead. Because it’s depressing out this way! And I live here, so it’s not like I’m throwing stones. This is not a poor area, but it is becoming a ghetto business-wise. We don’t even have a good grocery store anymore, just Dominick’s (ugh) and Ultra (ugh squared). I go out to Bradley or New Lenox for groceries, and Crete for fresh meat. And yes, I know Walt’s in Homewood has fans, but it’s a very small and crowded store, just like the small Jewel in South Heights. PF has 25,000 people and not one grocery store, not even a little one. That’s crazy. If prospective businesses would stop looking at the number of business failures here and start looking at the amount of money we spend in OTHER villages because they have better offerings, they’d realize there is money to be made in the south suburbs. 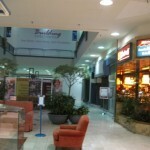 As of today June 2, 2012, the mall is still open. Sears is closing and in the midst of a closing sale, should be wrapped up in a few weeks. The mall went up for auction Friday June 1st, no news on who owns it now but $ 38 million was the amount due in balance from the previous owner. The mall was really quiet for a Saturday afternoon. 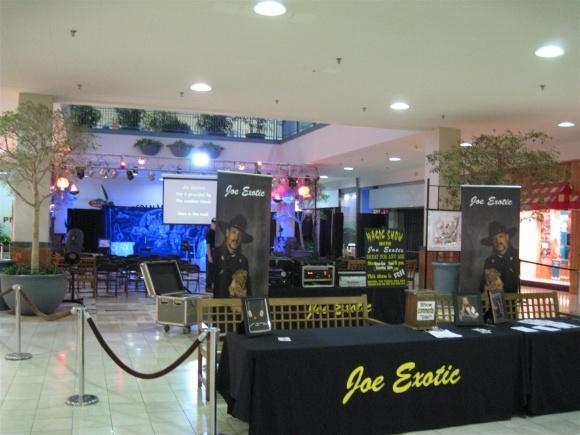 Joe Exotic is gone but nothing else going on. I was able to get a few pics with my iPhone but was careful, security was nowhere to be seen. 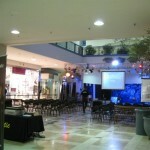 In a published article in the local Southtown paper, the mall management is quoted as saying they would stay open. I worked for Wards in the mall from 1995-97 and am from nearby Calumet Park, I remember when this mall starting going down, there were crime issues then. I think it was just a combination of economy, poor management, no food court, security issues and Orland Park being a more destination that has killed this mall. Too bad, it was nice back in the day. Well Lincoln Mall has gotten a reprieve and will remain open for the time being. 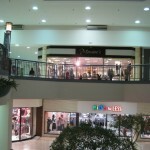 The mall was sold in an auction on June 1 for $154k and the buyer intends to keep the mall open. It was bought by an unnamed developer so hopefully they do some developing there per the 2007 plans because I can think of a dozen national retailers who could have a go at making a viable business there. Sears is in the process of closing the store and everything was 20-40% off. Also, Holiday Inn is reopening their Matteson property after it went to a no name hotel and is now reopening in July as a Holiday Inn again. 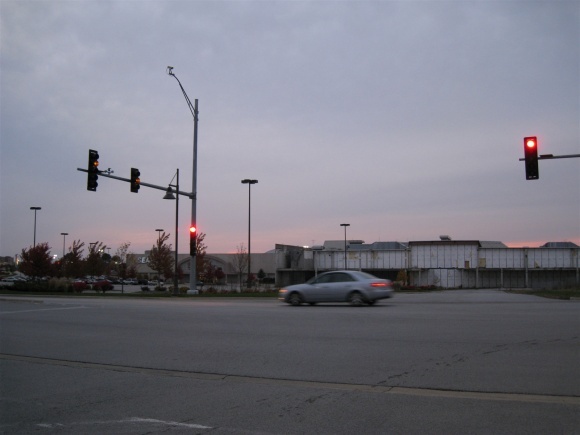 Every bit of investment like that wil hopefully make Matteson a successful retail town again. 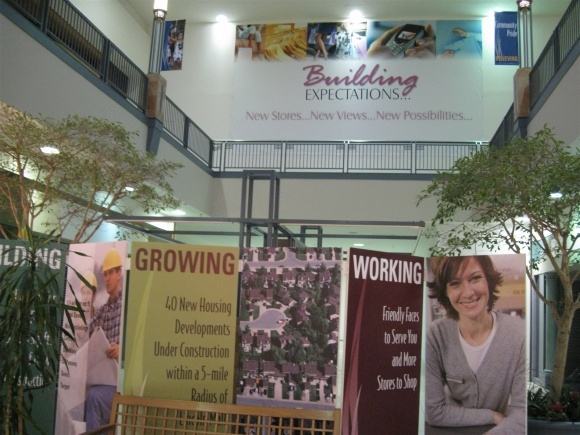 Just an update…The Carson’s at River Oaks closed last month and the Sears is planned to close in June. I really think River Oaks might need its own labelscar page before anymore stores in that mall close. My brother and I visited LM this week and it was a bit sad but at least it is still kicking. I remember watching Sikorsky Skycranes delivering the air-conditioning units when it was being built back in the early 1970s. This was from the classroom wndows at Oakwood Elementary school (now closed). My brother worked at the McDonalds and I worked at Lerners and Lane Bryants back in the late 1970s while attending Rich Central. Time passes quickly. The village of Matteson filed suit to shut down Lincoln Mall today. Well it remains to be seen whether Lincoln Mall survives past August 15. I haven’t been in the mall since last summer, but it sounds like nothing has improved. I’ll try to take some pictures if I get out there this weekend. Lincoln Mall is closing for good on January 7. I went there yesterday to take some pictures and there were maybe a dozen stores in the process of shutting down. The usual Christmas decorations were up and there were a few people walking around. No problems taking pictures since there didn’t seem to be any security staff working there. A few people asked me why I was taking pictures out of curiosity. Carsons will remain open after the mall closes. 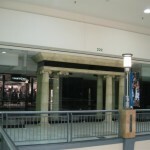 Lincoln Mall closed January 7, as ordered by a Cook County court. Stick a fork in it its done. Carson’s remains open as they own their building. The mall will be a sports center there using the whole shell and putting all kinds of fun stuff in it acording to the lincolin mall owner! I haven’t been able to find anything to verify that. The owner is insolvent.